The following items are a collection of published accounts regarding Doctors Community Healthcare Corporation (DCHC). At present, the Control Board is in the process of negotiating an agreement with DCHC to take over operations of the PBC, including DC General Hospital. Given DCHC's record, I believe that it would be unwise to entrust one of our most important institutions to this company. 2. DCHC has a reputation for its inability to complete deals and for 11th hour demands in negotiations. I. DCHC'S FINANCIALHISTORY IS EXTREMELY WEAK. MOREOVER, THERE IS NO EVIDENCE THAT DCHC'S FINANCIAL SITUATION HAS IMPROVED. Doctors CommunityHealthcare Corp. (DCHC) is strapped for cash, is carrying a huge debt and has posted steep annual losses for the last three years. . . .. In this years first half, the company reported a $2.6 million loss before taxes on revenues of $60.5 million. In 1997, it posted a $17 million loss before taxes onrevenues of $109.3 million. The company did not provide after-tax figures for last year. The $17 million loss includes a $5.5 million loss attributed to changes in Medicare and Medicaid reimbursements and unpaid property taxes in prior years at the companys hospital in Washington, D.C. In 1996 and 1995, DCHC reported loses of $3.6 million and $3.3 million, respectively. Restated 1995 financial results  following an audit by Ernst &Young LLP  show that DCHC had overstated revenues by $2.3 million. The company currently has long-term debt of $123 million  which excludes debt from the Reese/Grant transaction. DCHCs total shareholder equity is a negative $22.2 million, pushing its debt-to-capitalization ratio to a whopping 122% -- a sign of an overleveraged company with minimal financial flexibility.Crains Chicago Business, October 12, 1998, Pg. 1 (emphasis added). As a privately-held corporation, DCHC does not file standard corporate reports with the Securities and Exchange Commission -- such as 10-Ks. As such, it is nearly impossible to perform due-diligence into their finances. II. DCHC & GREATER SOUTHEAST COMMUNITYHOSPITAL: 11TH HOUR NEGOTIATING PRACTICES (1999). A. DCHC backed out of the original deal only an hour before its announcement. Washington,D.C. based Greater Southeast Community Hospital officials were shocked yesterday when Arizona-based Doctors Community Healthcare Corp. withdrew its $39 million offer to buy the hospital and its affiliates only an hour before the deal was to be announced in bankruptcy court the Washington Post reports. Doctors Community officials said that they were blindsided by last-minute financial disclosures filed by the near-bankrupt Washington, D.C. hospital, which included reports that state and federal officials are trying to recover $4.6 million in overpayments. Doctors Community officials also complained about major discrepancies in the hospitals inventory of shared and leased medical equipment, but made clear that they hope to negotiate a new deal with the hospital today. Greater Southeast, currently facing a $70 million debt, has until tomorrow to secure a partner or will face a court-ordered liquidation of all of its assets. AmericanHealth Line, November 4, 1999 (emphasis added). B. With Greater Southeast Community Hospital's back against the wall, DCHC purchased the hospital for much less than originally agreed upon. "National Century Financial Enterprises, Dublin, Ohio, provided $30 million in financing to Doctors Community Healthcare Corp., Scottsdale, Ariz., for its acquisition of Greater Southeast Community Hospital in Washington. The deal was completed Dec. 31. The agreement provided for accounts receivable, equipment financing and real estate bridge commitments for the $22.3 million purchase with more funding available for closing costs and working capital". Modern Healthcare, February 28, 2000, Pg. 52. C. DCHC continues to seek financial advantages from the District. "Paul Tuft, the CEO of Doctors Community Healthcare, proposed a 20 year property tax exemption at the beginning of 2000, soon after Doctors Community purchased Greater Southeast at a bankruptcy sale. The tax exemption could be worth nearly $1 million a year." Washington Post, January 23, 2001, Pg. B5 (emphasis added). D. After the purchaseof Greater Southeast, DCHC downsized Hadley. "The company that owns the two District hospitals east of the Anacostia River said yesterday that it will consolidate emergency and general medical services at the larger one and convert the other into a nursing home and long-term acute care facility. Hadley Memorial Hospital will close its emergency room Feb. 1 and send such cases to Greater Southeast Community Hospital, which is expanding to accommodate the change." Washington Post, January 9, 2001, Pg.B3. The following items are a collection of published accounts regarding Doctors Community Healthcare Corporation ("DCHC"). At present, the Control Board is in the process of negotiating an agreement with DCHC to take over operations of the PBC, including DC General Hospital. Given DCHC's record, I believe that it would be unwise to entrust one of our most important institutions to this company. DCHC has a reputation for its inability to complete deals and for 11th hour demands in negotiations. I. DCHC'S FINANCIAL HISTORY IS EXTREMELY WEAK. MOREOVER, THERE IS NO EVIDENCE THAT DCHC'S FINANCIAL SITUATION HAS IMPROVED. "Doctors Community Healthcare Corp. (DCHC) is strapped for cash, is carrying a huge debt and has posted steep annual losses for the last three years. . . . . In this years first half, the company reported a $2.6 million loss before taxes on revenues of $60.5 million. In 1997, it posted a $17 million loss before taxes on revenues of $109.3 million. The company did not provide after-tax figures for last year. The $17 million loss includes a $5.5 million loss attributed to changes in Medicare and Medicaid reimbursements and unpaid property taxes in prior years at the companys hospital in Washington, D.C. In 1996 and 1995, DCHC reported loses of $3.6 million and $3.3 million, respectively. Restated 1995 financial results  following an audit by Ernst & Young LLP  show that DCHC had overstated revenues by $2.3 million. The company currently has long-term debt of $123 million  which excludes debt from the Reese/Grant transaction. DCHCs total shareholder equity is a negative $22.2 million, pushing its debt-to-capitalization ratio to a whopping 122% -- a sign of an overleveraged company with minimal financial flexibility." Crains Chicago Business, October 12, 1998, Pg. 1 (emphasis added). As a privately-held corporation, DCHC does not file standard corporate reports with the Securities and Exchange Commission -- such as 10-Ks. As such, it is nearly impossible to perform due-diligence into their finances. II. DCHC & GREATER SOUTHEAST COMMUNITY HOSPITAL: 11th HOUR NEGOTIATING PRACTICES (1999). A. DCHC backed out of the original deal only an hour before its announcement. "Washington, D.C. based Greater Southeast Community Hospital officials were shocked yesterday when Arizona-based Doctors Community Healthcare Corp. withdrew its $39 million offer to buy the hospital and its affiliates only an hour before the deal was to be announced in bankruptcy court the Washington Post reports. Doctors Community officials said that they were blindsided by last-minute financial disclosures filed by the near-bankrupt Washington, D.C. hospital, which included reports that state and federal officials are trying to recover $4.6 million in overpayments. Doctors Community officials also complained about major discrepancies in the hospitals inventory of shared and leased medical equipment, but made clear that they hope to negotiate a new deal with the hospital today. Greater Southeast, currently facing a $70 million debt, has until tomorrow to secure a partner or will face a court-ordered liquidation of all of its assets." American Health Line, November 4, 1999 (emphasis added). B. With Greater Southeast Community Hospital's back against the wall, DCHC purchased the hospital for much less than originally agreed upon. "National Century Financial Enterprises, Dublin, Ohio, provided $30 million in financing to Doctors Community Healthcare Corp., Scottsdale, Ariz., for its acquisition of Greater Southeast Community Hospital in Washington. The deal was completed Dec. 31. The agreement provided for accounts receivable, equipment financing and real estate bridge commitments for the $22.3 million purchase with more funding available for closing costs and working capital." Modern Healthcare, February 28, 2000, Pg. 52. C. DCHC continues to seek financial advantages from the District. Paul Tuft, the CEO of Doctors Community Healthcare, proposed a 20 year property tax exemption at the beginning of 2000, "soon after Doctors Community purchased Greater Southeast at a bankruptcy sale." The tax exemption could be worth nearly $1 million a year. Washington Post, January 23, 2001, Pg. B5 (emphasis added). D. After the purchase of Greater Southeast, DCHC downsized Hadley. "The company that owns the two District hospitals east of the Anacostia River said yesterday that it will consolidate emergency and general medical services at the larger one and convert the other into a nursing home and long-term acute care facility. Hadley Memorial Hospital will close its emergency room Feb. 1 and send such cases to Greater Southeast Community Hospital, which is expanding to accommodate the change." Washington Post, January 9, 2001, Pg. B3. III. DCHC & BOSTON REGIONAL MEDICAL CENTER: BANKRUPTCY, CLOSURE, AND LAWSUITS (1997-1999). A. Boston Regional Medical Center is suing DCHC for backing out of their deal. "A bankrupt and shuttered Massachusetts hospital late last week filed suit against a financing company that was supposed to keep it out of trouble and a for-profit hospital chain that backed out of a deal to buy the facility. Boston Regional Medical Center, Stoneham, Mass., which closed and filed for bankruptcy last February, blamed the financing company, Dublin, Ohio-based National Century Financial Enterprises and its chief executive officer, Lance Poulson, for its demise. The hospital also blamed Paul Tuft, chairman and CEO of Doctors Community Healthcare Corp., for its trouble. The lawsuit, filed in U.S. Bankruptcy Court in Boston, seeks unspecified damages for 16 counts including alleged fraud, misrepresentation, breach of fiduciary duty and civil conspiracy." . . . "National Century had agreed to back a deal by Scottsdale, Ariz.-based Doctors Community to buy ailing not-for-profit Boston Regional for $52 million (July 19, 1999, p.30). National Century also owns a minority stake in Doctors Community. As the hospital's losses mounted, the deal went sour, and Doctors Community backed out after 18 months of negotiations. The lawsuit claims that National Century promised to lend $16 million in working capital to the hospital, provide a line of credit of up to $4 million and provide long-term financing of about $36 million for the deal. The suit says the company knew at the time it made these pledges that it did not have the ability or willingness to follow through." Modern Healthcare, January 24, 2000, Pg. 4 (emphasis added). According to a complaint filed in U.S. Bankruptcy Court in Boston filed October 31, 2000: "Doctor Community Healthcare eventually did take over [Boston Regional Medical Center], in 1997, but financial conditions continued to get worse. The new DCHC, the lawsuit says, mismanaged money, did not pay taxes or insurance premiums, and drove the hospital into bankruptcy. It also failed to buy the hospital, as promised, and did not provide the attorney general with requested information, the lawsuit states." Worcester Telegram & Gazette, January 16, 2001, Pg. B1 (emphasis added). B. Despite letter of intent, DCHC never finalized offer to purchase Boston Regional. "Doctors Community Healthcare Corp., which had signed a letter of intent to purchase the facility [Boston Regional] a year ago, was still attempting to negotiate a lower purchase price as recently as last week, according to one official close to the bankruptcy proceedings. He said Doctors Community initially offered $50 million but backed out and substituted an offer of $25 million that the hospital rejected." Boston Globe, February 21, 1999, Pg.1. C. Relying on DCHC's more generous initial offer, Boston Regional rejected other offers to its detriment. Doctors Community had offered to buy Boston Regional Medical Center, which sits on a "45-acre parcel overlooking Spot Pond, for $52 million. . . . Doctors Community, a privately held for-profit health management firm based in Arizona, had ostensibly outbid Winchester Hospital, which had offered $37 million, and for-profit Tenet Healthcare Corp. of California, which had bid $39 million. Both wanted to buy the hospital outright." Boston Globe, October 25, 1999, Pg. A1. D. Despite the fact that the purchase never occurred, DCHC managed Boston Regional to DCHC's advantage. "But between the time Doctors Community and Boston regional signed an interim agreement in October 1997 and the day the deal fell apart in February (1999) . . . the hospitals financial condition had worsened. Adding to its woes was a stipulation in the papers it signed with Doctors Community in which the hospital agreed to borrow heavily from a Doctors Community-affiliated financing company in order to stay afloat until the deal closed. The loans of up to $16 million were to be repaid at the closing or assumed by the newly formed hospital partnership. Doctors Community itself was borrowing up to $37.5 million from that same financing company, National Century Financial Enterprises, to pay for its investment in Boston regional. When this financial house of cards fell in February, Boston Regional found itself without a financial partner but on the hook for millions borrowed from Doctors Community. Too late to revive the previous offers, the 195-bed hospital fell into bankruptcy court. . . . Doctors Community arranged a last-resort mechanism of selling Boston Regionals accounts receivables at a discount, so that the hospital could get cash in exchange for turning over its right to insurance reimbursements, and it promised to keep Ricks on as hospital president. Even before the agreement was finalized, the hospital began paying $50,000 a month in management fees to Doctors Community last year." Boston Globe, October 25, 1999, Pg. A1 (emphasis added). E. DCHC's final offer equaled the assessed value of the valuable land on which Boston Regional was located. "The 40-acre parcel [on which Boston Region sits] is appraised by the town of Stoneham at $25.7 million, according to Stonehams director of assessing, Elaine Moore." Boston Globe, March 14, 1999, Pg. 1. IV. DCHC & MICHAEL REESE AND GRANT HOSPITAL: SHAKY FINANCING AND LACK OF COMMITMENT (1998). 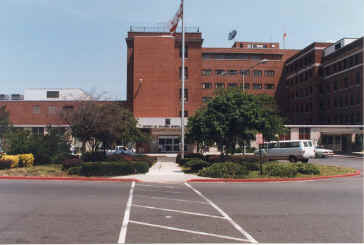 A. DCHC had a difficulty financing the purchase of the two hospitals. Doctors had difficulty completing the financing for the transaction with Columbia/HCA for the acquisition of Michael Reese and Grant Hospitals. Chicago Tribune, November 5, 1998, p. 3N. "The Arizona-based hospital management company that plans to acquire ailing Columbia Michael Reese Hospital and Medical Center and Grant Hospital is itself in need of financial resuscitation, according to company documents provided to Illinois regulators. Crains Chicago Business, October 12, 1998, Pg. 1. B. DCHC had to pay a penalty for failing to complete the financing on time. "Doctors Community Healthcare Corp. of Scottsdale, Ariz., Thursday obtained a firm commitment from a New York investment bank [Credit Suisse First Boston Corp] to underwrite its acquisition of Michael Reese Hospital and Medical Center and Grant Hospital from Columbia/HCA Healthcare Corp. However, it remained unclear whether Nashville-based Columbia would allow Doctors Community to miss yet another deadline for closing the transaction. Earlier this month, Doctors Community had to write Columbia a $2.5 million check to extend the close to Fridays deadline because its financial commitments werent firm." Chicago Tribune, October 30, 1998, Pg. 3N (emphasis added). C. Soon after assuming control of Michael Reese Hospital, DCHC ended the hospital's relationship with Humana to save money. "Michael Reese Hospital and Medical Center wont renew its longtime contract with Humana Inc., saying the health maintenance organization is costing the South Side hospital too much money. . . . . Humanas customer base is responsible for 30 percent of the hospitals admissions at a time when the facilitys new owners are attempting a financial turnaround. But Reese executives said the HMO, which pays the hospital a fixed rate for medical care services, was paying Reese about half of what the hospitals expenses were." Chicago Tribune, March 31, 1999, Pg. 1N (emphasis added). D. DCHC's Actions at Micheal Reese Hospital negatively impacted neighboring hospital. "Mercy was unprepared to take on several thousand patients insured by Humana, Inc. when nearby Michael Reese Hospital and Medical Center decided last March to drastically curb its relationship with the managed-care plan after a dispute over rates." Chicago Tribune, April 27, 2000, Pg. 1N. E. DCHC sought unsuccessfully to merge Michael Reese Hospital with nearby hospital. "Michael Reese Hospital and Medical Center has suggested a possible merger with its closest neighbor and fierce rival on the city's South Side, Mercy Hospital and Medical Center, sources say. Dennis Patterson, interim president and CEO of Mercy, confirms that Dr. Enrique Beckmann, Reese's chairman and CEO, approached him last month to express interest in the two institutions 'working together' on a possible 'relationship'." . . . "Though rebuffed for now, the overture signals Reese's desire for a merger partner or other merger to help it withstand the financial pressures it is facing. Both Reese and Mercy are suffering from excess hospital capacity and falling federal reimbursements." . . . "'There's a population to be served (on the South Side), but neither has done real well with it in an economically feasible way. ', says Don Hamilton, a partner and health care consultant in Ernst & Young LLP's Chicago office. 'Putting weakness with weakness isn't a way to make strength, but maybe they don't have alternatives. Maybe they don't need to have two of everything.'" Crain's Chicago Business, April 10, 2000, Pg. 3. F. Michael Reese Hospital is located on very valuable land. "Adding to the drama: Reeses Near South Side real estate is highly coveted  meaning the hospital could be worth more dead than alive. And its physicians, who were expected to take a big ownership stake in the hospital , have yet to put in a dime." Crains Chicago Business, February 8, 1999, Pg. 1 (emphasis added). "Michael Reese Hospital and Medical Center is putting together a real estate team to evaluate options for its sprawling, and potentially lucrative, South Side lakefront property." Crain's Chicago Business, March 20, 2000, Pg. 3 (emphasis added). G. Shortly after DCHC bought Micheal Reese Hospital and Grant Hospital, DCHC quickly resold Grant Hospital, which was loosing more money under its management. "The questions of commitment were triggered by how quickly Doctors Community Healthcare Corp. auctioned off the hospital (Grant). The company bought Grant from Columbia/HCA Healthcare Corp. just last fall and promised to operate Grant as a health-care facility. . . . The sale will allow Doctors to focus solely on Michael Reese, which lost more than $50 million last year. With Grants losses, Doctors may have had a hard time turning both facilities around. Grants losses went from between $200,000 and $400,000 a month under Columbia ownership to $600,000 a month once Doctors Community bought Grant in November." Chicago Tribune, May 21, 1999, Pg. 3N (emphasis added). "Chicago-based Grant Hospital is on the selling block once again, a scant three months after Scottsdale, AZ-based Doctors Community Healthcare Corp, bought it." American Health Line, February 25, 1999. H. DCHC had difficulty meeting the obligations surrounding the sale of Grant Hospital. "But for the struggling Michael Reese Hospital and Medical Center on Chicagos South Side, a competing hospital holds its fate. Edgewater Medical Center, a not-for-profit hospital on Chicagos North Side, holds a trump card that could doom for-profit Michael Reese. Edgewaters ace-in-the-hole is a first mortgage note secured by prime waterfront real estate- the property atop which 225-bed Micheal Reese sits. That land is potentially worth triple the value of the paper backing it. If Michael Reeses for-profit parent, Scottsdale, Ariz.-based Doctors Community Healthcare Corp., defaulted on the mortgage, 215-bed Edgewater could force the hospital into foreclosure. . . . Edgeaters potential foreclosure power over Michael Reese stems from a little-noticed detail in the not-for-profits agreement to buy Grant Hospital, another Chicago hospital, from Doctors Community this summer. Doctors Community originally purchased Grant and Michael Reese from Columbia/HCA Healthcare Corp. in November 1998. As part of the deal, Columbia continued the mortgage on those properties. But when Doctors Community later decided to sell Grant to Edgewater, it encountered a snag. . . . To close the Grant deal, Doctors Community persuaded Edgewater to assume a first mortgage interest on Michael Reese. Edgewater paid $10.9 million to take out the mortgage. We were told by Doctors Community at the 11th hour that thats something they would need to get the deal done. Said Edgewaters Zeisel. Modern Healthcare, September 20, 1999, Pg. 2. A. NCFC is a health care financing company. "The company [National Century Financial Enterprises], based in Dublin, Ohio, has made a name for itself in a controversial form of health care financing that struggling hospitals have increasingly turned to. Under this strategy, hospitals sell or pledge their expected insurance reimbursements, or accounts receivables, to companies like National Century, in exchange for cash." The Boston Globe, January 21, 2000, Pg. B4. "Headquartered in Dublin, OH, National Century Financial Enterprises, Inc. estimated revenues of approximately $200 million for 1999 and is the country's largest provider of healthcare accounts receivable financing via its securitized portfolios. In addition to its Dublin headquarters, NCFE has offices in Scottsdale AZ." Business Wire, January 24, 2000. B. NCFC owns over 11% of DCHC. "Doctors Community was founded in 1991 by Paul Tuft, . . . The company pursued struggling hospitals, often by forming ownership partnerships with physicians. . . . National Century Financial Enterprises, a Dublin, Ohio-based financing company that funds many of Doctors Community's deals, is financing Doctors' purchase of the hospital [Greater Southeast] as well as providing an upfront loan to Greater Southeast to tide it over until the purchase is completed. The company, which provides high-interest loans and lines of credit to struggling healthcare providers that may be shunned by traditional lenders, has an 11.5% stake in Doctors Community." Modern Healthcare, November 22, 1999, Pg. 8. C. DCHC uses NCFC to finance DCHC's efforts. "National Century Financial Enterprises, Dublin, Ohio, provided $30 million on financing to Doctors Community Healthcare Corp., Scottsdale, Ariz., for its acquisition of Greater Southeast Community Hospital in Washington. The deal was completed Dec. 31. The agreement provided for accounts receivable, equipment financing and real estate bridge commitments for the $22.3 million purchase with more funding available for closing costs and working capital." Modern Healthcare, February 28, 2000, Pg. 52. "Adding to its [Boston Regional] woes was a stipulation in the papers it signed with Doctors Community in which the hospital agreed to borrow heavily from a Doctors Community-affiliated financing company in order to stay afloat until the deal closed. The loans of up to $16 million were to be repaid at the closing or assumed by the newly formed hospital partnership. Doctors Community itself was borrowing up to $37.5 million from that same financing company, National Century Financial Enterprises, to pay for its investment in Boston Regional. When this financial house of cards fell in February, Boston Regional found itself without a financial partner but on the hook for millions borrowed from Doctors Community." Boston Globe, October 25, 1999, Pg. A1. "Nov. 12, 1998  Doctors Community Healthcare Corporation (DCHC) and National Century Financial Enterprises, Inc. (NCFE) today announced the completion of the acquisition of Michael Reese and Grant Hospitals from Columbia/HCA. The NCFE agreements provide for accounts receivable and equipment financing commitments totaling $80 million for the purchase of the hospitals healthcare receivables from third party payers and equipment financing. The purchase price for both hospitals is $62.5 million plus working capital." Business Wire, November 12, 1998. D. NCFC has been investigated for fraudulent activity. "A major credit-rating service has launched an investigation into the operations of Dublin-based National Century Financial Enterprises after receiving three anonymous letters alleging fraudulent activity at the company." The Columbia Dispatch, May 26, 2000, Pg. 1C. "Duff & Phelps Credit Rating Co. (DCR) and Fitch IBCA recently have launched an investigation into the financial records and activities of healthcare receivables company National Century Financial Enterprises (NCFE) in response to a series of anonymous letters received separately by both DCR and Asset Sales Report. . . . The first two letters, addressed to Jeff Orr and dated April 26, 1999, and July 16, 1999, state that NCFE "operates outside the scope of its indentures and normal business practices." Further, the writer of the letters alleges that it is estimated that approximately 50% or more of the $2 billion portfolio is either worthless or non-existent." Asset Sales Report, May 22, 2000. Paul R. Tuft, Chairman of the Board and Chief Executive Officer. Mr. Tuft's was formerly a partner in a law firm in Omaha, Nebraska specializing in healthcare finance. Mel Redman, President and Chief Operating Officer. Mr. Redman spent 25 years at Wal-Mart Stores, Incorporated, where he served as Senior Vice President of Operations. Visit their website at www.doctorscommunity.com.